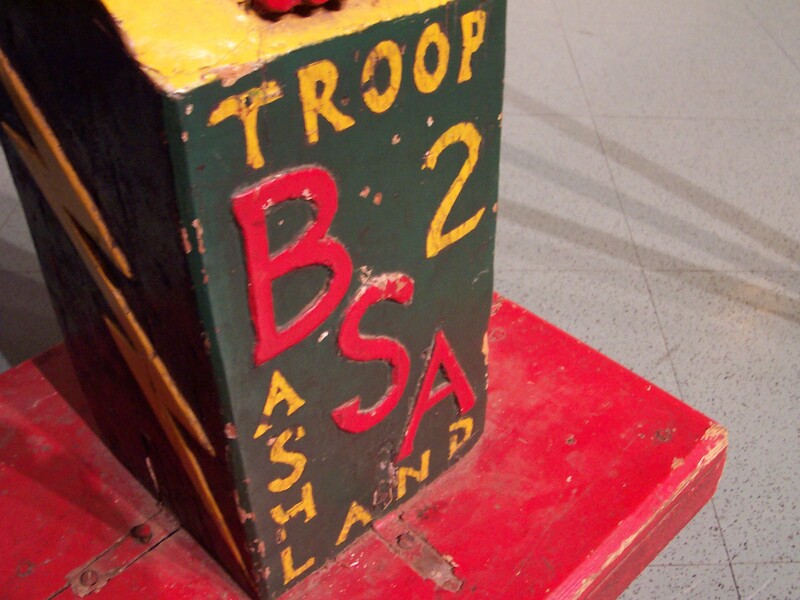 Troop 2 Ashland was formed in 1930 by the Ashland Boy Scout Committiee, Inc. Its first Scoutmaster was John Morse, and the new troop had only 14 scouts. By joining the Red Cross, cleaning sidewalks, and doing traffic duty, the new troop started a tradition of comunity service that has lasted for 75 years. The troop has grown tremendously since its beginning, and is one of the very few that has lasted for 75 years. Many thing have changed about Troop 2 over the years, including the sponsoring organization (at one time, it was the PTO; another, Romeo's Shopping Center; today it is the American Legion), but the Troop has kept a record for excellence in its rich history.